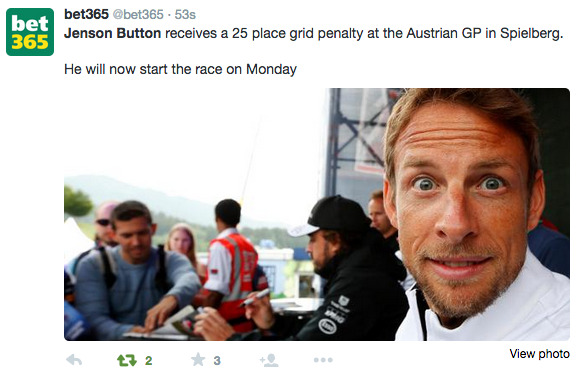 F1 stuff that makes you laugh!!! Re: F1 stuff that makes you laugh!!! F1 forever a écrit: Post it here! "Kimi does your helmet have some special meaning to you like it does to many drivers?" Do you have any rituals with your helmet?" "I wipe it to clean it."! (Mike Doodson) In that light, have any of you guys made any changes to your personal lives, as Jenson has done by getting himself a very expensive Honda hybrid car to travel from his yacht to his jet? JB: If you actually checked, I haven't actually got a yacht or a jet... Very funny! HK: My car is a Renault and it is environmentally sound. LH: In terms of car, I haven't changed my car but I think it is fuel-efficient. I am quite concerned about the environment and we all need to notice this and take action. Whatever that is, I am not really sure, but once we know we all need to put our hands together. JB: I think it perfectly puts forward the reason behind it - awareness. As you can see, I don't think a lot of people are aware of the big issues. I think it is a great idea. We get through to hundreds of millions of people and I wasn't aware of the issues six months ago and now I am and I have changed my life in little ways. It might not be big ways, but it makes a difference, if we are capable of making these changes, which I think we are. MW: Less baked beans (laughter). You know it is important. It is the way the world is going. We all know that. I think the big countries - China, India, the places with the really massive populations and the big cities where there is a mass of population. Not just a few cars here and there. It is how they run these places that is a pretty big deal as well. I like the outdoors. I like being out there and hopefully in 100 or 200 years guys like myself who like going outside can still do it. 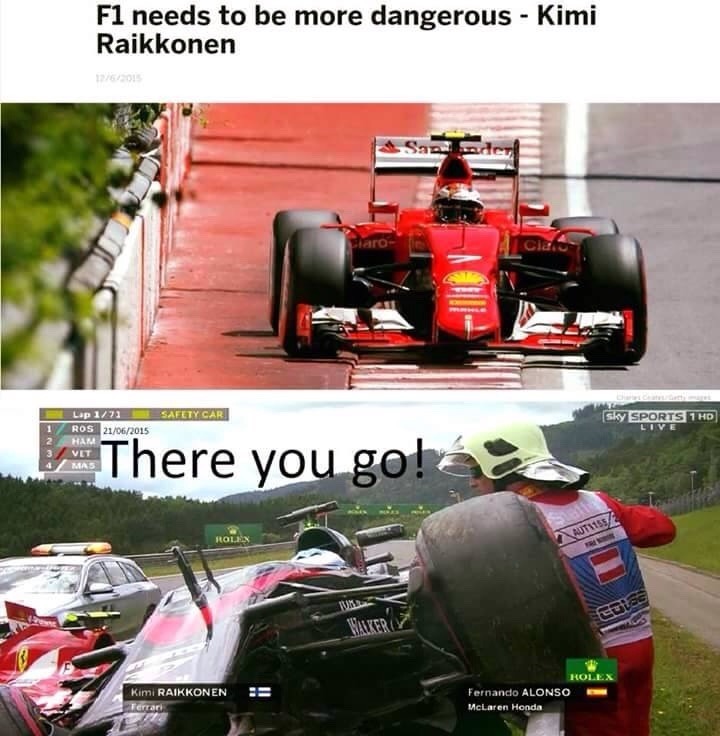 Kimi, any changes in your life? I've never seen this before! 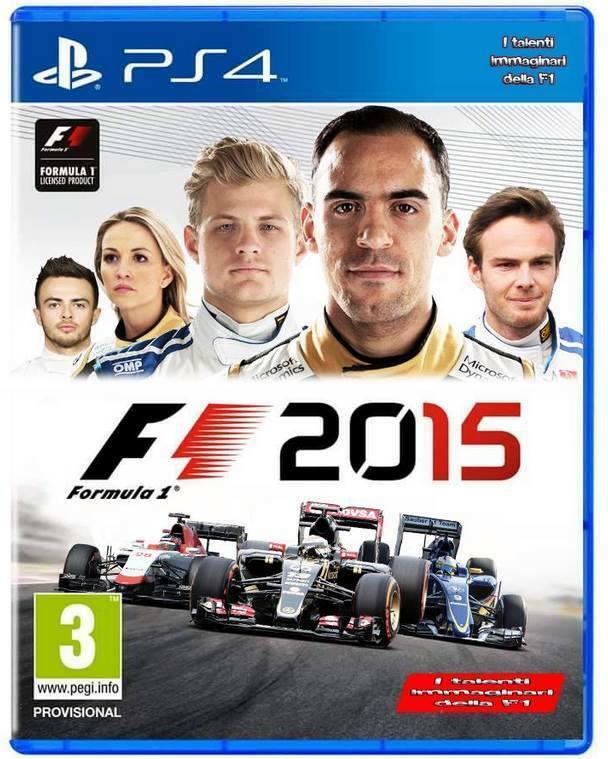 GMM a écrit: Pastor Maldonado seems to be losing the battle in trying to shake off his 'Crashtor' nickname. First time I heard it! "Why didn't we have any grid girls today?" 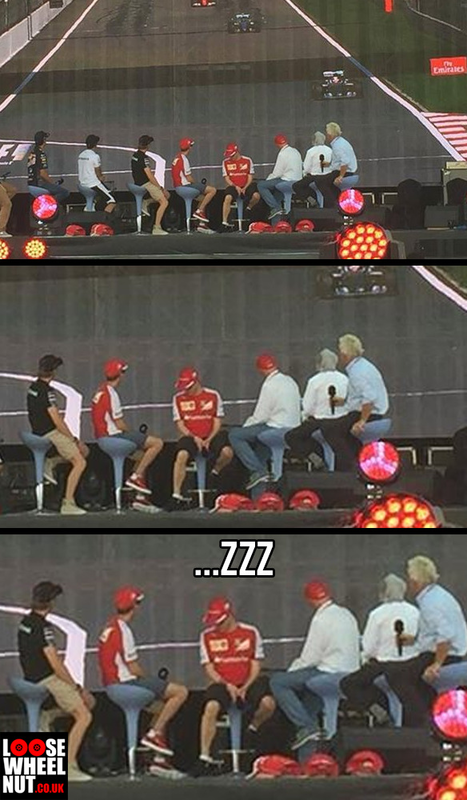 Vettel joked. "What was that? You get there and park behind George or Dave. What's the point?" Just posted for the picture. I think he may have a point, lol. This is pure comedy gold! 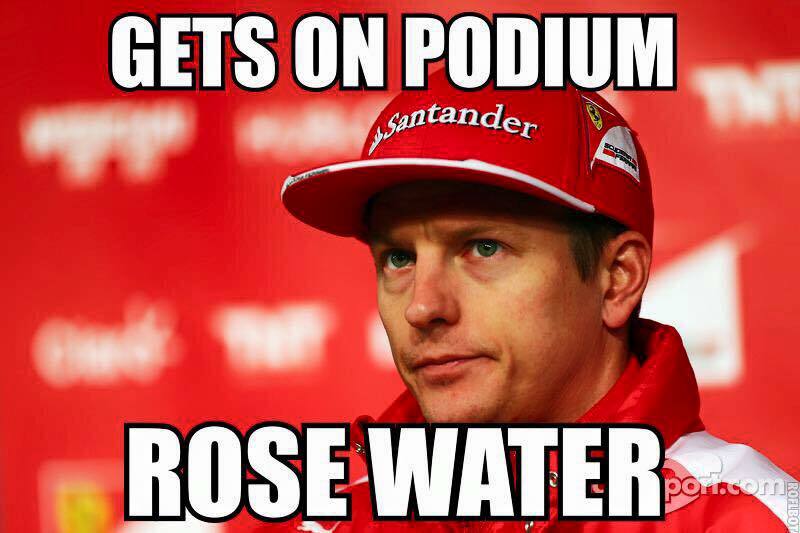 WHERE IS ALONSO?